Home / Project Gallery / ‘Sh-h-h-h!’ PlayStation® 4 game-making in progress! ‘Sh-h-h-h!’ PlayStation® 4 game-making in progress! The sound of silence means a lot to engineers producing video games for Sony PlayStation®4 (PS4™) enthusiasts. At Sony Computer Entertainment America LLC headquarters in San Mateo, California, producers’ tolerance for intrusive noise from beyond studio walls is zero. Only the intense action on-screen matters while creating audio effects that dramatize, punctuate and heighten the deeply immersive experience for video gamers. In these studios Sony Entertainment sound engineers make the most of that capability while keeping the PlayStation® pipeline full for weekly launches of new games. The gaming experience draws players to PS4™ and its predecessor PlayStation® consoles, and PS4™ elevates 3D excitement ever higher. It’s the world’s most powerful games console, with a Graphics Processing Unit (GPU) able to perform 1,843 teraflops*. On top of its introductory lineup in November 2013, over 180 PS4™ games are in development, including “Be the Batman”, the epic conclusion of the “Batman: Arkham Knight” trilogy, released in 2015. 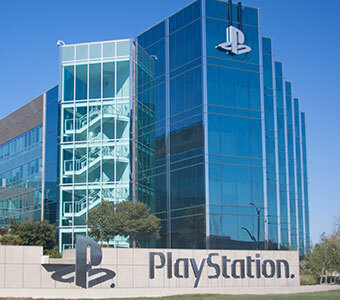 PlayStation® has by far the largest overall game library of any console on the market, and Sony Computer Entertainment America LLC is charged with keeping that position. When the three, 5-story buildings of Sony Entertainment were in need of renovation last year to meet the demands of current and upcoming technologies, turning an entire floor into nothing but sound studios drew more than passing interest. "Sound quality is critical in PlayStation® production environs,” observes Gary Robinson, owner of Fremont, California-based Magnum Drywall, which handled the multi-facility project. QuietRock is the first gypsum product engineered to address airborne noise control in buildings. It can eliminate the need for expensive and labor-intensive alternatives such as double stud framing, resilient channel or multi-layered assemblies. QuietRock installs and finishes just like any standard gypsum panel product, requiring no special training to use. “QuietRock sound attenuation abilities are superior. It essentially replaces four drywall boards used in some alternative acoustical installations and it’s more effective,” added Robinson. Magnum Drywall foreman Nick Juvet concurs on patented QuietRock’s sound deadening quality. “Several laminated drywall sheets with acoustical polymer between layers, backer board, a metal layer plus another ¼” of drywall combine for single-board sound control unmatched by any other. We went through 1200 sheets of QuietRock 545 for the sound studios. The 4’ x 8’ sheets (over 38,000 sq. ft.) were installed in floors, ceilings and walls, surrounding each room with QuietRock. We also used QuietSeal® Pro between the joints; about a quart for two sheets,” referring to the non-hardening acoustical sealant that ensures acoustic integrity for long-term sound reduction. QuietRock is specially formulated to reduce noise by using constrained layer damping technology (CLD). When acoustic energy (sound) comes in contact with the constrained layer damped panel, the viscoelastic (inner) layer works together with the constraining (outer) layers to convert acoustic energy (sound) into thermal energy (heat), which dissipates harmlessly. Juvet said renovations in two other buildings – “freshening up” administrative areas, removing a cafeteria, adding offices and the like – “called for standard drywall; we installed about 200,000 sq. ft. of 5/8” Type X PABCO FLAME CURB®.” The most complex scenarios in the Sony Entertainment renovation, however, came into play while building out the floor full of studios, a task for which Magnum Drywall was eminently well prepared. The firm has handled similar installations for numerous firms since opening in 1991. Robinson also notes they have used PABCO products “from the beginning,” including QuietRock after it was introduced in 2002. Design-in-process studio ‘isolation’ requires extensive collaboration Nevertheless, Robinson said the studio build-out posed special challenges, as it was “a design in process.” Juvet, a 36-year industry veteran who’s been with Magnum Drywall since 2011, explained other details. “When building sound studios, it’s not one thing that gets you to the desired end product. There are multiple factors and a lot of isolation. For instance, where the electrical comes in, where the switches are, and where the ductwork enters a room. We actually put in drywall and framed studios before the ductwork was installed. “Sound engineers are very precise about where they want everything. Each has his or her own preferences relating to how they like to work. Beyond primary studio equipment, there’s no such thing as a cookie-cutter approach. There were many angles and a lot of work with sound engineers who were on-site often. It was very much layout-intensive.” Of course, that also called for collaborating with the architect on some issues and, even more so, coordinating with various trades. The multi-facility effort paid off. Sony Computer Entertainment America is pleased with new office areas that meet current and future needs. Plus, an entire floor of sound studios in which PlayStation® videos are brought to life – and which also give sound engineers what they want to hear when they step inside: The Sound of Silence, compliments of PABCO Gypsum and QuietRock. * Teraflops: In computing, FLOPS stands for FLoating-point Operations Per Second; Teraflops is a measure of computing speed equal to one trillion FLOPS, which enable the GPU to transform objects with lightning-speed every time a 3D scene is redrawn. Thus, video game action at 1.843 teraflops (every single second) is … fast!